Application forms for Nursery are usually in School in the Autumn term and should be returned by the advertised date. Access to Gateshead Council’s ‘Admission to Primary School’ booklet is available at www.gateshead.gov.uk for you to download. When the Nursery application form is returned to school, a receipt is issued and we ask to see a birth certificate before the child is entered onto our Admissions List. 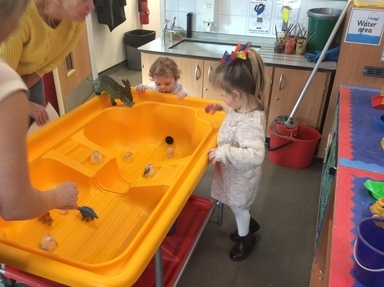 Owing to a varying demand for places, and the fact that we have been over-subscribed in the past, children who can only benefit from one year in Nursery are given preference for available places. Where there are surplus places, children can begin nursery at the half term following their third birthday which offers children more than a year in nursery. This can be discussed with staff to find out exactly when your child could start. As soon as possible, parents are informed, either that they have been awarded a place, or that they have been put on our Waiting List. Currently, we are only able to offer morning nursery sessions. Parents are invited to an Open Session to meet staff and to find out more about the Nursery. At this meeting, parents also receive details of our staggered entry system. We also offer a home liaison visit before children begin Nursery. As our Nursery and Reception classes work very closely together, the transition for children into Primary School is very smooth. Information packs containing application forms for Primary places are distributed by the Local Authority in the Autumn term. Parents are required to return a completed form directly to School Organisation & Admissions at Gateshead Council, not to the school. Applications can also be made on-line at www.gateshead.gov.uk. The Local Authority (Gateshead Council) is the admissions authority and they will issue receipts for completed forms and advise parents if their application has been successful. The school have no access to this information. Children who have not attended our Nursery are invited to make as many visits as is felt necessary, accompanied by parents. Parents of new starters are invited to an Open Evening where they will meet the staff, explore the classroom and outdoor environment, receive more information about the School, including details of our staggered entry system. This is also an excellent opportunity to complete relevant school contact forms etc. Depending on the availability of places, mid-year transitions can be arranged for children moving into the area or changing school etc. The first point of contact is with the school office to discuss whether or not the school can accommodate the transfer prior to contacting the Local Authority. 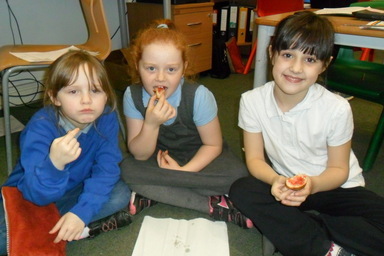 Free school meals are immediately available for all Reception, Year 1 and Year 2 children.